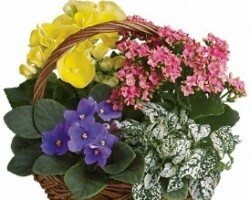 Finding your ideal flowers couldn’t be easier when you go to the professionals at Aurora Florist. This team has the experience and dedication to find their clients all of the flowers that they have always wanted for their wedding celebration. 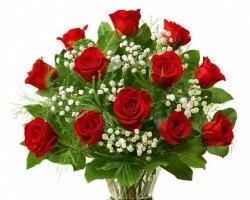 In addition to having one of the finest collection of flowers in the city this service provides highly reliable flower delivery in Anchorage and the surrounding area. 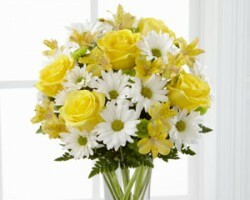 This means that you can be sure that your flowers will arrive ready to take your guests’ breath away. For the future bride and groom that know exactly what flowers they would like at their wedding then the usual florists in Anchorage, AK are not the best choice. Alaska Flower Shop provides couples with the flexibility of choice and the freedom to pick all of their favorite arrangements to ensure their venue is decorated exactly how they have always wanted. In addition to this store having one of the widest collections of flowers they also have some of the best customer service in the local area. 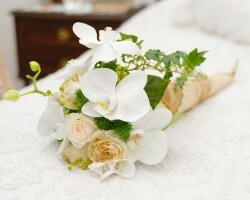 At Bloomsbury Blooms they offer couples throughout Anchorage the option to have truly unique wedding flowers for their special day. In fact the entire collection available in this store has a personalized touch that you will not be able to find elsewhere. In addition to some of the most beautiful arrangements available in the city, this store also provides couples with all of the vintage styled extras that they could want to make their wedding venue décor come to life. If you want the ultimate flower arrangements but you also want the overall cost to remain relatively affordable then you should contact Bagoy’s Florist. Randy and Chanda Mines, the owners of this Anchorage florist, believe that couples should be able to fully trust in the suppliers of their wedding flowers and that is why this service is dedicated to only delivering the highest quality of blooms. For weddings they pay even more attention to the finer details to guarantee every petal will be in place and that you’ll love the finished results. Whether you choose to use the services of Flowers For The Moment due to their praise-filled reviews or you are convinced by their beautiful gallery of previous arrangements, you certainly won’t regret doing so. 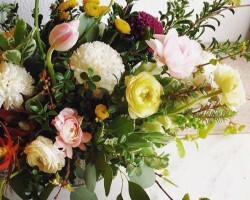 They are one of the leading flower shops in the city due to their attention to detail and their dedication to only having the freshest blooms available for their clients. While they may be one of the finest options in the city, their prices remain incredibly affordable.